On Friday 13 July 2012, two MSc students of the Animal Production Systems group of Wageningen University will go back to Wageningen, the Netherlands after conducting research for three months for imGoats Mozambique. Today, both students presented the preliminary results of their research to the CARE staff at the CARE office Vilanculos. The objective of the research seminar was twofold: 1) To verify preliminary research results by CARE field staff: are the findings in line with experiences and ideas of CARE field staff? 2) To discuss possible project implications with the CARE team based on the preliminary research results. Student Yvane Marblé started with her presentation on ‘Environmental assessment of communal grazing areas’. The innovation platform identified communal grazing areas as one of the main ways to increase goat production. Subsequently CARE is supporting and facilitating identification and implementation of these areas. However, the concept of communal grazing areas is new in Inhambane province, which raises many questions and challenges. Yvane’s main research question was therefore: What are the future perspectives, including carrying capacity, of the newly designated communal grazing areas for goats in the ImGoats project communities? 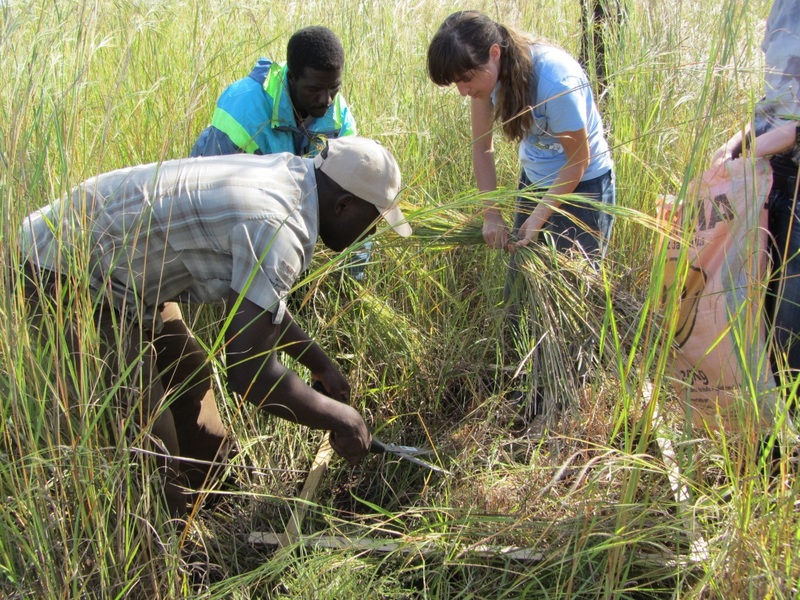 Her study consisted of two parts: 1) a ‘technical’ part by assessing carrying capacity based on grass samples (see photo) 2) a ‘social’ part by conducting focus group interviews with male and female producers to collect their ideas about future management of the areas (see photo below). Though Yvane is still analysing the data in more detail, she was already able to identify some important steps for the project team to take into account when working on communal pasture areas including recommendations on natural resource management and the management of labour. 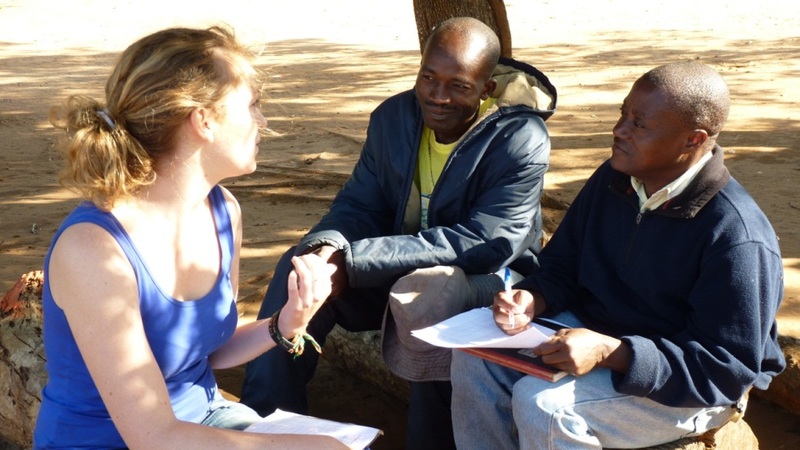 MSc student Caren Krul conducted her internship at ILRI with imGoats. 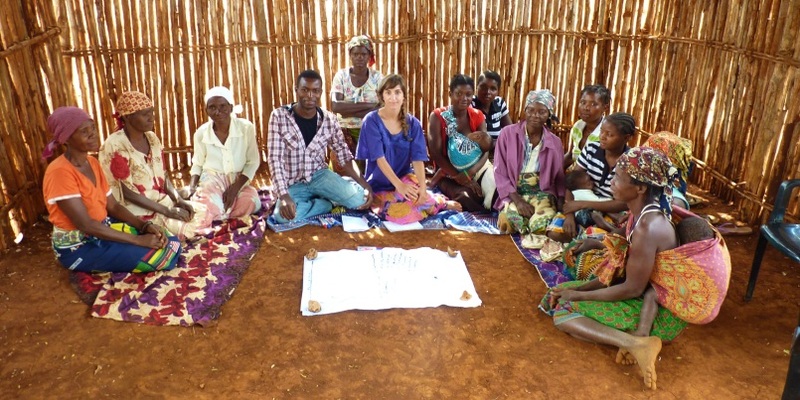 The objective of her study was to set up a reporting system that will allow the identification of the main constraints in goat production in Inhassoro district, Mozambique. She designed three registration forms to monitor animal health and productivity: 1) weight gain of the goat, 2) herd composition and 3) animal health treatments. The forms will be filled in by the imGoats paravets. Caren therefore visited each paravet in their respective communities and explained the forms together with CARE staff (see photo). In total, 14 paravets received the forms and training. At the moment, each paravet collects data of 10 producers in his community. It was too early for Caren to conduct analysis as data are currently being collected. However, she composed a database in which the CARE Monitoring and Evaluation officer can easily enter (and analyze) the data as soon as the first forms return. She also suggested how information from the analyzed data can be communicated to the paravets, so they gain insight in their own performance and that of their producers. The third presentation was entitled ‘Socio-cultural context of goat keeping in Inhambane province’. This was a qualitative social study, which was conducted as a follow-up to the quantitative imGoats baseline study in August 2011. This study was conducted by me, ILRI Post-doctoral fellow, and had the main objective to better understand the social, cultural and historical context of goat production and marketing in Inhambane province, in order to identify entry points to engage goat keepers in commercial production and marketing. I am currently processing and analysing the data and will be able to share some results with you in a future blog. At this point, I would like to thank the students for their presence, efforts and valuable inputs in our project in Mozambique. In a short period of three months, they both managed to conduct valuable field work. Moreover, they were able to share their preliminary results with the CARE team, so these results can be directly applied in the field activities! Tags: imgoats. Bookmark the permalink. Welcome to the blog of the project, Small ruminant value chains as platforms for reducing poverty and increasing food security in India and Mozambique, or imGoats in short.